Total Packaging Solutions is proud to introduce compostable packaging films for the food packaging industry. These films now provide a compostable option for commercial packaging companies that want to offer a complete compostable solution for clients. TPS eco-friendly compostable films for packaging are manufactured in a plant awarded LEEDS Silver status for exceptional energy savings and low waste generation making these films truly a ‘green’ solution from manugacture to compost. The demand for compostable packaging is increasing. Not only in the food industry, but in packaging for other products as well. Packaging companies that explore and understand how to incorporate these products into their lines will be in a good position to win new ‘green’ oriented packaging contracts. 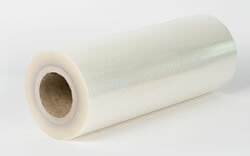 For more information on compostable packaging films by TPS, contact us.